Cape Town – Save South Africa has blamed the country’s entry into a second recession in eight years on the “recession president” Jacob Zuma. “The Save South Africa campaign is concerned, but not surprised, at the figures released by Stats SA (Statistics South Africa) yesterday, which confirm that South Africa is officially in a recession,” it said in a statement on Wednesday. Stats SA revealed on Tuesday that the country is in a technical recession for the second time in eight years, as gross domestic product contracted by 0.7% for the first quarter of 2017. This followed the disclosure by Stats SA on Friday that unemployment in its broad definition increased in the first quarter of 2017 to 36.4% from 35.6% in last quarter of 2016. This means, said Stats SA, that an estimated 9.3 million people in South Africa want to work, but can't find a job. 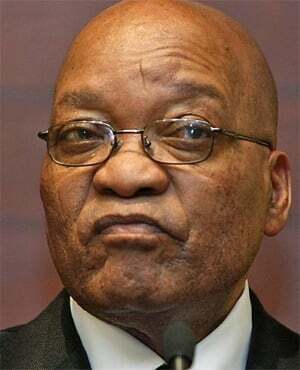 Save SA said that “there is no way that Zuma’s recent actions could have stimulated economic growth in any way – whether it was his Cabinet appointments, his understanding of the economy, or the ongoing facilitation of theft from the public purse". “Ratings agencies have seen through it, local economists have warned about it, and now we have the facts: the economy is officially going downhill," Save SA said. South Africa is in a technical recession, its unemployment rate is on a 14-year high, it has suffered junk status gradings by two ratings agencies and on top of that, it faces potential interest rate and electricity price hikes. “Our failed president, Jacob Zuma, can now add another word to the legacy he is leaving South Africans: ‘recession’,” said Save SA. The anti-Zuma campaign said South Africans do not need formal notification that the country is in a recession. The campaign, headed by AngloGold Ashanti chairperson Sipho Pityana, called on ANC Members of Parliament to vote the president out of power in the upcoming vote of no confidence vote in Parliament. “ANC Members of Parliament would do well to reflect on this when their time comes to vote in the next motion of no confidence in Zuma,” it said.